Good morning, chic readers! We wait every single year for the unveiling of the Southern Living Idea House. It’s always chic and always full of inspiration, but we have to say that this one might have been our very favorite yet. If you’re a big fan of before and afters (guilty!) then you have to go over to Southern Living and check out the befores. They will blow you away! We have to be honest: There wasn’t a lot redeeming about this house before. Plenty of architectural details and a unique features (these kitchen walls, anyone?) turned it into something to talk about! As I said, we’ve never actually been to Austin, but we get the feeling that it has that fun, funky, eclectic vibe. And this house matches that absolutely perfectly. The mix of the antique, new and totally unique in this home mirror that perfectly. Slanted interior ceilings add so much charm and make for the coziest sleeping spaces we know of! Mudrooms are pretty much the best idea of the 21st century. (Did they have them before the 21st century?) They pave the way for a neat, organized home–and we can’t wait to have one when our remodel is finished! Anywhere in the South, porch sitting is pretty much mandatory. And with a porch like this, why wouldn’t it be? We hope you loved this gorgeous Southern Living Idea House as much as we did! Here’s something you might not know about us: We bleed blue. Not cobalt blue or turquoise or aqua, but that particular beautiful baby blue of Carolina skies, of our alma mater, the University of North Carolina. There is so much to love about Chapel Hill: the Old Well, the Bell Tower, Franklin Street, and now this stunning home. When the amazing, talented, (super funny) Andrew J. Howard designed one of the gorgeous homes in Chapel Hill, NC, home of the Tar Heels and at least half of our hearts, we couldn’t wait to share it with you! And, let us tell you, his work, as usual, doesn’t disappoint. While original features like beautiful moldings, fireplaces and floors, are accentuated, applauded and never overlooked. To sunny, happy yellows, a mix of tones and hues create a home that is historic but never, ever stuffy. There it is, our favorite blue! It isn’t a Chapel Hill home without a bit of Carolina blue, after all. And takes full advantage of every available space–and makes it fabulous! One of our favorite towns… One of our favorite designers… We knew it would be a match made in heaven! (The southern part of heaven, that is.) We’re off to Pin these to our “favorites” board. How about you? Life–and houses–are all about the details. And no one embraces that philosophy better than Lisa Tharp Architecture + Design. From the largest room to the tiniest nook, nothing is overlooked. 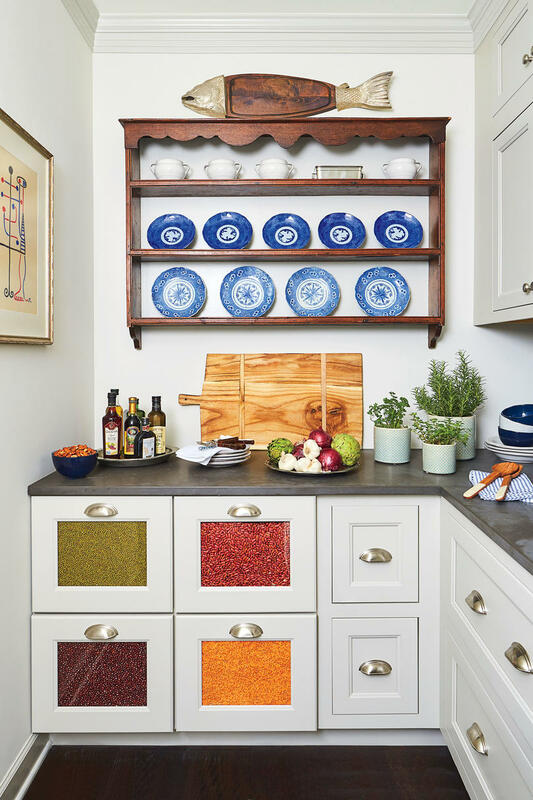 During this season that is all about the little things, take a peek at some of our favorite work from this talented designer–and get a jumpstart on your home inspiration for 2019. We hope you loved the good taste of Lisa Tharp Architecture + Design as much as we did. Does the flurry of activity leading up to Christmas have you wishing for a bit of an escape? If so, get away to Lake Tahoe with us to this perfectly appointed home designed by Jeff Andrews. Or spend a leisurely evening surrounded by loved ones cooking all our holiday staples. While we can just see a huge fraser fir gracing the living room, it really isn’t necessary. Christmas trees are a part of the spectacular view right outside the window. Who needs to chop firewood when it’s already in ample supply? And a good chat with great friends helps make the season bright. And if you want to head outdoors–and who wouldn’t in a place like this?–all the essentials are right by the door. Okay. That’s enough of a break. Now back to the list making, present wrapping and end-of-year merriment! We hope you enjoyed this getaway just as much as we did! Thanks so much for spending your holidays with us. We love it when you stop by!